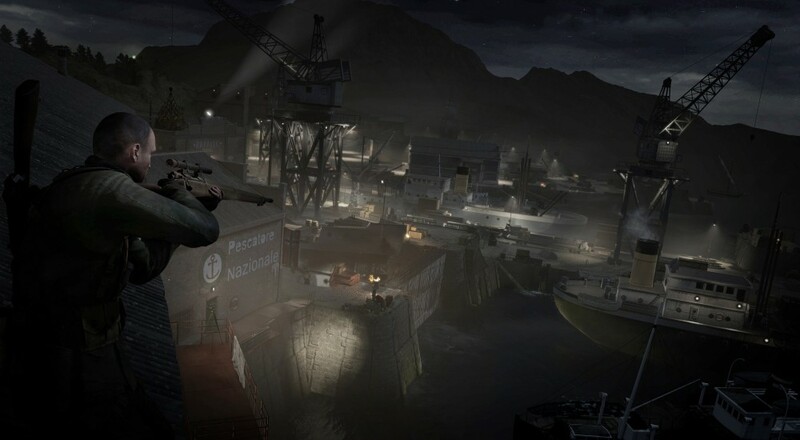 It was just earlier this week that we heard that a new Sniper Elite game, Sniper Elite 4, would be making its way onto the PC, Xbox One, and PlayStation 4 this year. Now, the folks over at Eurogamer have been able to see the game in action, and there's promise to be had with the latest entry. The slow motion bullet cam will be making its return, but two new "death" cams have been added: shrapnel and melee. You'll be treated to the former anytime you shoot a red barrel, or other piece of obviously marked environmental object that goes "boom" when shot, near a solider. As the explosion interacts with objects in the environment, you can enjoy the gruesome show of those objects flying into any nearby soldiers. The melee kill cam will kick in anytime you get up close and personal with your enemies. Based on the pre-alpha build that Eurogamer was shown, Sniper Elite 4 sounds to be more ambitious than previous titles. Not just adding more death cams, but expanding the gameplay to allow Karl to hang off ledges, traverse the terrain easier, kill guards with environmental traps, and more. They liken it to some of the things you're able to do in Metal Gear Solid V, which did a lot of amazing things with the open-world genre. No mentions of anything co-op related in the video (or article), but the gameplay that's shown off in that video is certainly encouraging. Page created in 0.2532 seconds.